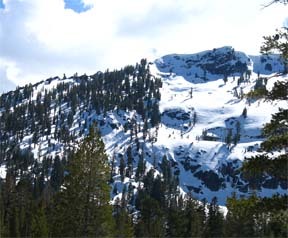 Angora Lakes are nestled beneath the steep slopes of Angora Peak. Although the lakes are not high, you can often find powder at the lakes that are completely sheltered from the low winter sun. 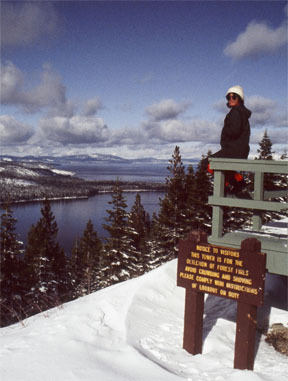 While the tour to the lakes are an excellent tour, the best part of the tour is the halfway point at Angora Lookout with its amazing views that are dominated by the deep blue of Fallen Leaf Lake and Lake Tahoe below. Ski southwest on the ridge and road for 0.8 mile until you reach a turn (4) to the south (left) where the road begins to drop. 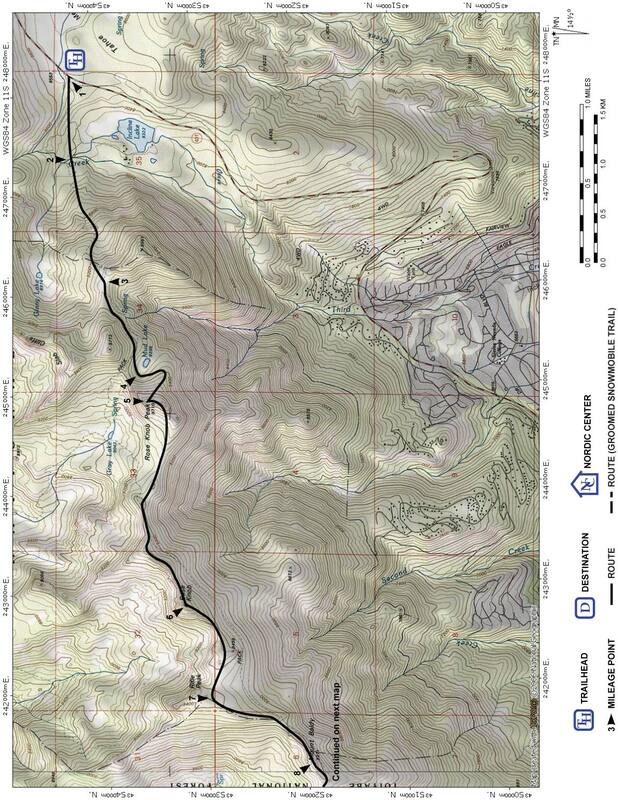 Follow the road as it descends slightly and then climbs for a total of 0.9 mile until you reach Angora Lakes (5). If the road becomes too difficult to follow at its lowest point, head south and follow the power lines to the lakes. 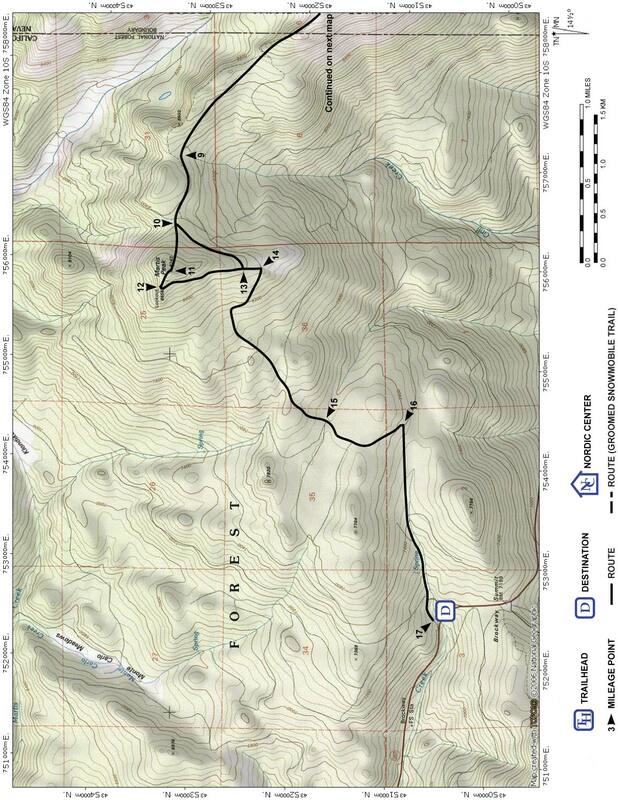 Retrace the route for 3.6 miles back to the trailhead (1).